It's been a little while since we've brought you some new music from She Makes War, but luckily Laura Kidd's project is back with a cover of Culture Club's classic "Do You Really Want to Hurt Me." This cover does go off in its own direction away from the original 80's iconic classic. Instead, this cover goes full 90's with loud, reverb heavy, crunchy guitars. It's not quite industrial and it's not quite grunge. Instead, it lives somewhere in the middle. It genuinely sounds like something recorded in 1996 and forgotten until today. If you know us at all, that is meant to be very high praise. 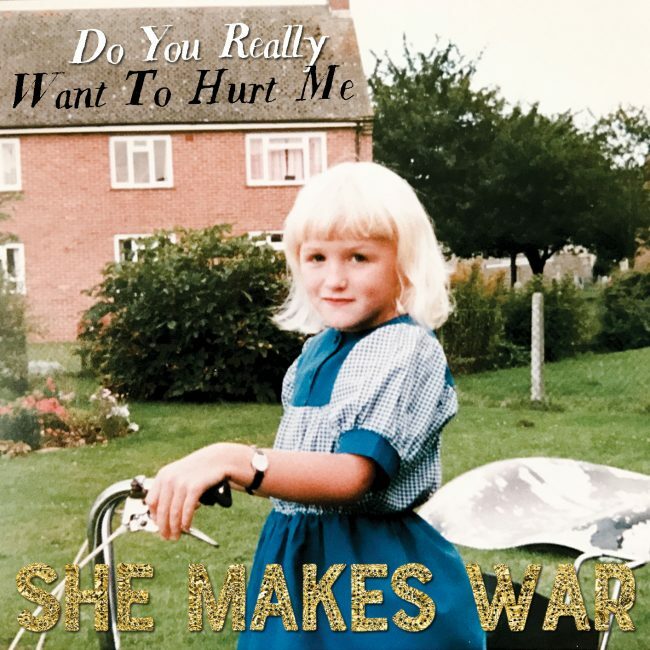 You can listen to She Makes War's cover of "Do You Really Want to Hurt Me" below. It's available as a single now via My Big Sister Recordings and can be purchased here. For more on She Makes War, check out her website.